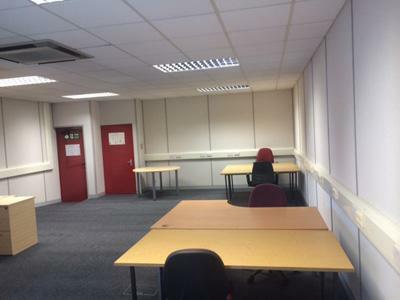 Whether you’re a business startup looking for a small office space to rent or a company prospecting serviced offices in Stratford-upon-Avon, let Mansley Business Centre ensure your instant office runs at an easy, stress-free pace. When we look for serviced offices to rent in Warwickshire, we try to get as much variety as we can. Luckily, Mansley Business Centre provides a large variety of serviced offices in Stratford-upon-Avon, letting you be unique, just as your business should be. With offices ranging in size from 180 to 735 sq. feet, Mansley Business Centre offers a wide variety when it comes to serviced office rentals in Stratford-upon-Avon, Warwickshire. Our offices come furnished or unfurnished, and in addition, all units are allotted dedicated parking spaces. We have no hidden charges and allow for quick business set ups, ensuring that you avoid the stress when looking for serviced offices to rent. If you are interested in renting a serviced office in Stratford-upon-Avon, contact us at 01789 2970000 or visit our Contact Us page. Our offices often become available on short notice, so the earlier you display your interest, the earlier we can notify you of available office space to rent.